Who Should Have HR, Anyway? Who should have a Human Resources person, anyway? What extent should a company have a HR Department? Of course as a company grows and hires more employees, need to regulate HR functions increases dramatically. However, that does not necessarily mean they need a full office to handle the job. Those experienced in the HR field believe a company ideally should have at least 20 to 50 employees before they have a dedicated HR person. Even at that point, HR remains largely a function, something that can be managed by one person. In those cases, few employees would want to be that one person. It is here that technology comes to the rescue, with outsourcing—or automating, as in the cases of Software-as-a-Service, HRM systems and cloud-based technology. Today, web-based programs can help with hiring, payroll, developing employee handbooks and so on. In this way, one person should be able to handle the remaining HR functions. In business, there is a broad spectrum; no two businesses are quite alike. With SMBs in competitive markets, there could be a need for a dedicated administrator and a recruiter. Traditionally, HR Departments are defined by tasks nobody else either is capable of doing or actually wants to do. From recruiting to onboarding, writing job descriptions to monitoring attendance, policies and benefits, there has been a need for a specialized body to support senior management to establish a structure—with the purpose of holding down administrative costs. Often the human relations authority has a title such as Administrative Manager. 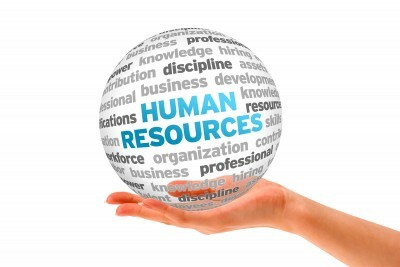 If you are chosen to spearhead the HR functions, what else would you need to do? What are the bare-bones requirements of HR? In companies of less than 15 to 20 people, the owner or most senior manager takes these duties—often listing responsibilities based on conferring with a lawyer (or group of them) and develop a job description the HR position. Next, analyze any compliance issues which apply to your company. The principal subjects are: wages and work hours, COBRA (based on size), forms like I-9 and W-2, requests such as vacation and leaves-of-absence (both maternity and family), ADA, harassment and a long list of others. Many SMBs do not think they have to have an employee handbook or approved list of policies and procedures. This is a HUGE mistake. From clarifying the company as an at-will employer, to defining perks and benefits, an established employee handbook is the best way to clarify rules and regulations. Even if a guide is in place, it must be updated regularly to remain in compliance with federal, state and local regulations, all in the best interests of the company. Is the policy manual complete? A viable strategy is to arrange the manual by categories, like employment, disciplinary, benefits and compensation. Is there a clear delineation between the employee and company rights and obligations? Coordinate employee data—or get it together, if there is none—and set everything into logical files. The filing system, at least, should have an Employment Application/resume, a W-2 form, signed insurance forms and performance reviews. A complete file should have employment dates, dates of reviews, promotions, and changes in compensation, wages or salary. To begin, do not be concerned that files are not computerized; that will come with a higher level of organization. The biggest conflict between HR and bookkeeping is payroll—and not out of a desire to perform the task. For many, it is clear that payroll is a problem for accounting and is the most popular service to be outsourced, usually to an outside company or a bank. Even when payroll is off-site, there are many responsibilities—such as informing the service of any changes in wages or salaries, deductions to pay, and severance checks. There is a wide range of services, both in price and quality, so clearly shop around for the best deal. Payroll services frequently offer (or at least try to sell) more than a company needs, meaning it always advisable to research. This vital HR function should certainly be divorced from payroll. No matter where benefits are outsourced, there will always be the need for some degree of in-house administration. Also, someone in the organization should take responsibility to answer questions about forms and insurance, provide options, and describe costs to employees. This area is one of the greatest ways HR can keep benefit costs down, and auditing policies periodically is a smart habit, to update any increases in premiums, or decrease in benefits. One person should be responsible for onboarding and orientation. Apprise new employees of benefits and company policies, this means you will have to be the expert representative for the company. Does the business offer a structured compensation, or is it on an individual basis? What are the job descriptions and responsibilities? Will pay be commensurate with responsibilities? How are raises handled? Is it a graduated system? Will SMBs—often less than 50 employees—have a concrete structure? It is even less clear when there are less than 15-20 employees. First, the HR professional should be proficient in writing or authenticating job descriptions. The heart of HR is information, and it must be carefully considered. A busy company is always in flux—with regular policy, benefits, compliance and even legal changes. These are things that are necessary to be passed on to all employees. Major changes require formal training—sexual harassment, for example. Health insurance benefits are required to be explained to all employees affected by changes in the law. This is the most basic function of HR, as key to an organization’s information cycle. For SMBs, recruiting is oftentimes an afterthought, rarely a overriding concern in smaller companies. Yes, turnover rates in stable companies can be low, some as few as a single hire a year. However, in competitive industries, recruiting is a vital function. The process of acquiring, interviewing, selection and placement are detailed ; a working knowledge of the techniques is essential. A poor hire can be extremely expensive. If recruiting is an essential function for the business, there are sources—especially HRM software and hiring services—that can do the job easily and at a much better price. Recruiters must also be knowledgeable of company-specific benefits, policies and procedures. At its most basic, the primary purpose of recruiting is to hire the best person at a salary that satisfies both the candidate and the company. Certainly Hr has many other responsibilities, but these are primary. For forward-thinking companies, diversity may high on a list of HR responsibilities. Unless it is the corporate culture or an issue with senior management, don’t expect an emphasis on diversity. More regularly, diversity concerns appear as part of risk management. One last thing, HR departments do not plan social functions, parties or a get together. It is better to leave those tasks to others with less to do. A formal HR professional will have too much on their plate.